Private Tastings - RiverCrest Weddings - Montgomery County, Chester County & Philadelphia's premier wedding venue. 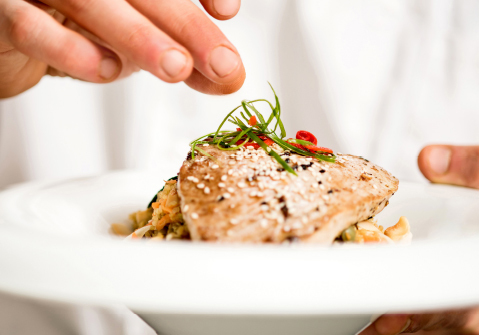 Award Winning Chefs are ready to provide you with a one-of-a-kind menu. Our team understands the importance of great food at a wedding reception. We know we have one of the most spacious and beautiful Ballrooms in the Philadelphia, Chester & Montgomery County area, but that only compliments the team of Award Winning Chefs ready to provide you with a customized one-of-a-kind menu. As part of your RiverCrest experience, we will have a private tasting with your Wedding Specialist. You will work one-on-one to create a custom menu. We pride ourselves in creating unique and special menus to impress your guests and have them talking about your reception for years to come. Relax with the peace of mind that comes from knowing you’ve selected the best.